EBG Consulting helps you discover to deliver products your customers value. Through our coaching, consulting, and training services, EBG helps organizations globally who want to leverage their strengths and improve their product development practices. Visit www.ebgconsulting.com to find useful resources and learn ways we can help you build and sustain great teams as you delight your customers with valued products. 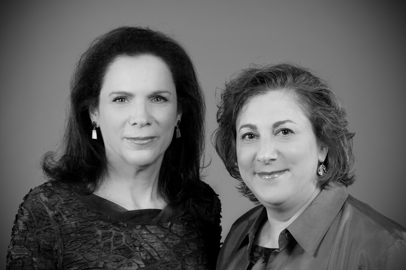 Ellen Gottesdiener, (right) Founder and Principal with EBG Consulting, is an internationally recognized facilitator, coach, trainer, and speaker. She is an expert in Agile product and project management practices, product envisioning and roadmapping, business analysis and requirements, retrospectives, and collaboration. Ellen works with global clients and speaks at numerous industry conferences. She is a Certified Professional Facilitator and a Certified Scrum Master. Ellen is also the author of two acclaimed books: Requirements by Collaboration and The Software Requirements Memory Jogger. Mary Gorman (left) is an expert in business analysis, facilitation, coaching and training, specializing in business systems and product development. She is Vice President of Quality & Delivery at EBG Consulting. Mary works with global clients, speaks at industry conferences, and writes on requirements and planning topics for the Agile, business analysis and project management communities. She is a Certified Business Analysis Professional™ and Certified Scrum Master. Mary was instrumental in developing the IIBA® Business Analysis Body of Knowledge® and the IIBA® certification exam.